Thanks Sivam for the following comment and giving me a valuable chance to reflect on my position. This highlights the fundamental problem with incorporating morphogenesis and similar emergent processes into human design processes. Nature as you point out, is a procedural system. So playing with nature (better than collaborating or augmenting) requires that designers think procedurally. Generative design is training us to do this, but as you have noted, we have not achieved a truly generative architecture. It could be suggested that we are not ‘naturally’ very good at this. I am therefore interested in what humans are good at (DESIGN), and what nature (BIOLOGY) is good at (PROCEDURAL MODELLING with embedded design knowledge) and using the best of both worlds to create a new design paradigm (morphogenetic prototyping). My fundamental assumption is NOT that we should replicate nature, but that we should replicate nature where appropriate and employ human design processes where appropriate. A key challenge that I see in achieving a trans-disciplinary design system that can incorporate the best of biological and human design systems, is the contemporary interest in developing proprietary design systems which have an explicit material and construction system embedded into them. This can mean that the relative success of the design, construction and material systems cannot be separately measured and we lose a key function of biology that of ‘conserved processes’. This means that both morphogenetic prototyping and generative designers are forced to reinvent the wheel, which was a process that started a long time ago. 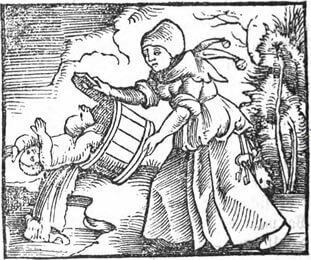 It is therefore time to stop ‘throwing the baby out with the bathwater’ and time to find a way to remove just the water and or poo. The relationship and weighting in agency between human and biological design systems is key to the development of morphogenetic prototypes. One approach to address this would be to decouple the design, construction and material systems, so that projects can reuse design systems with different material and constructions systems. One way that this could work would be to develop a standard XML type schema to represent the material and construction systems respectively. Its exciting work that I intend to develop by analysing existing projects and obviously open sourcing the schema and hopefully the models it supports. This would ultimately meant that one design system could support, steel, timber, concrete or possibly even waste material streams on demand enabling the construction to adapt to fluctuations in resource availability. I hope this helps to clarify my position, thanks again for your comment. Yes, this decoupling can and needs to be done for human driven design.It can be done at a separate layer which connects to a construction schema – because some where along the line,its going to matter if you choose between steel or timber. Till you hit that point it would be best to develop the design in a disconnected schematic layer. Ultimately, decoupling in this way could split architectural design into two constituent fields: 1, building design; 2, construction design. Fundamentally this would require a construction and material system to be readily deployable to the building designer, or on the result of that building design process by the construction designer, without one requiring implicit knowledge of how the other works. The ingredients that would allow this to happen are also likely to be the same as those needed to conserve the process rather than reinventing the wheel; allowing design development to be embodied within a system.